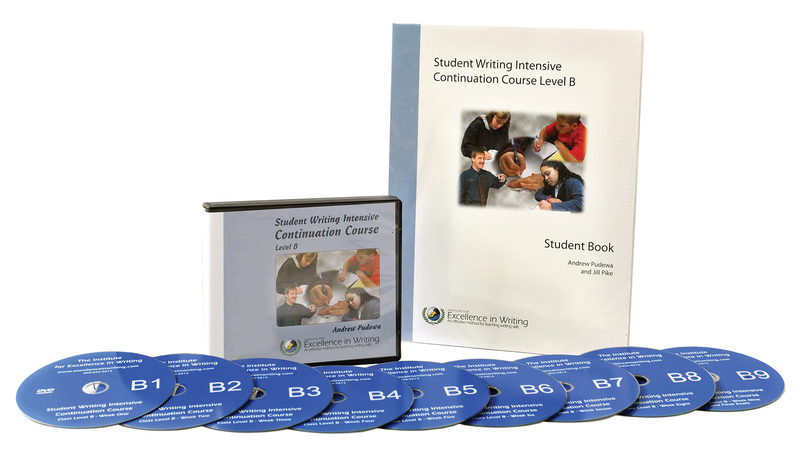 Students who have completed the SWI Continuation Course A or the Student Writing Intensive B can continue on with this enjoyable writing course on DVD. Providing one to two years of instruction, it presents new models and techniques while allowing for ample practice and reinforcement. This course picks up where the Student Writing Intensive Level B left off and advances writing strength. 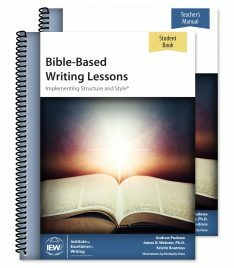 Prerequisites: This course assumes that the student has completed the Student Writing Intensive Level B or Student Writing Intensive Continuation Course Level A, or has had equivalent instruction. 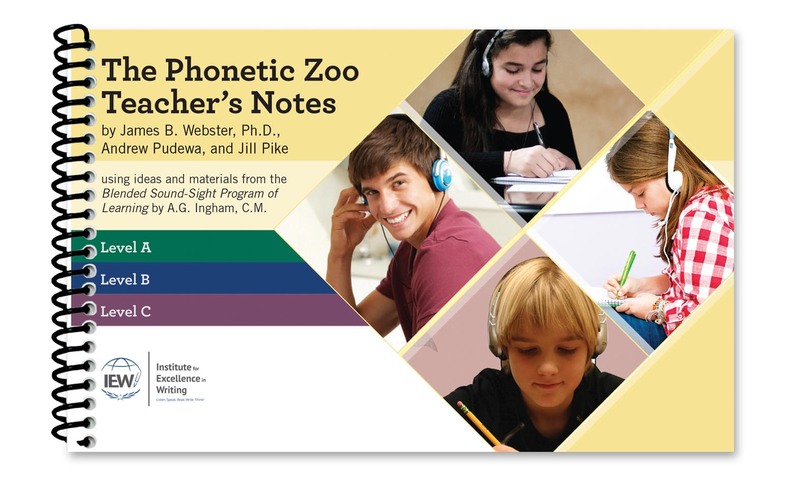 Contents: Recorded live, this series picks up right where the Student Writing Intensive Level B left off. Students may continue to use their same notebook and charts, learning new models and techniques not previously presented in the Student Writing Intensive. 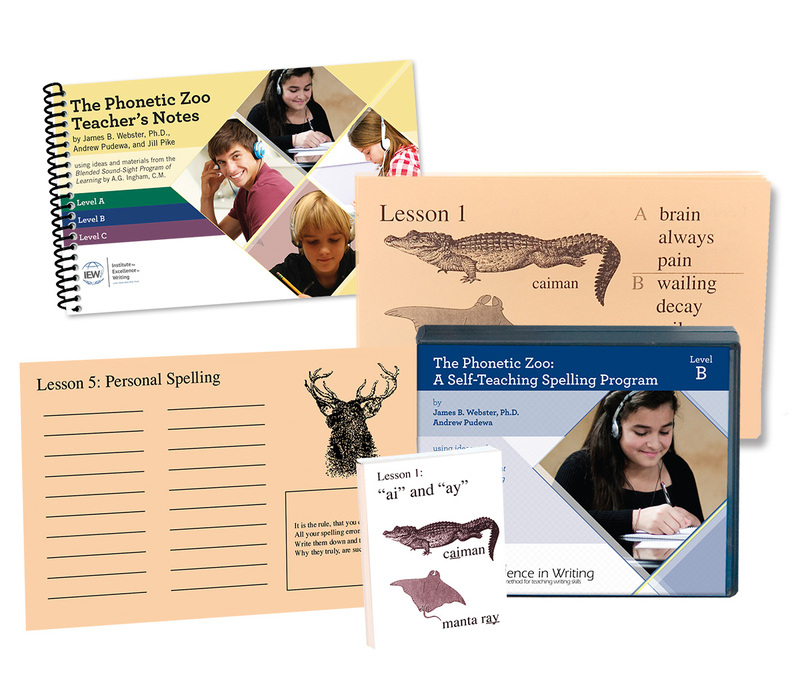 New charts and models are provided in the student packet for students who would like to freshen their notebook. A new binder may be purchased here. Who should purchase this course? This course is not meant to be a replacement for a real teacher using the Teaching Writing: Structure and Style program. 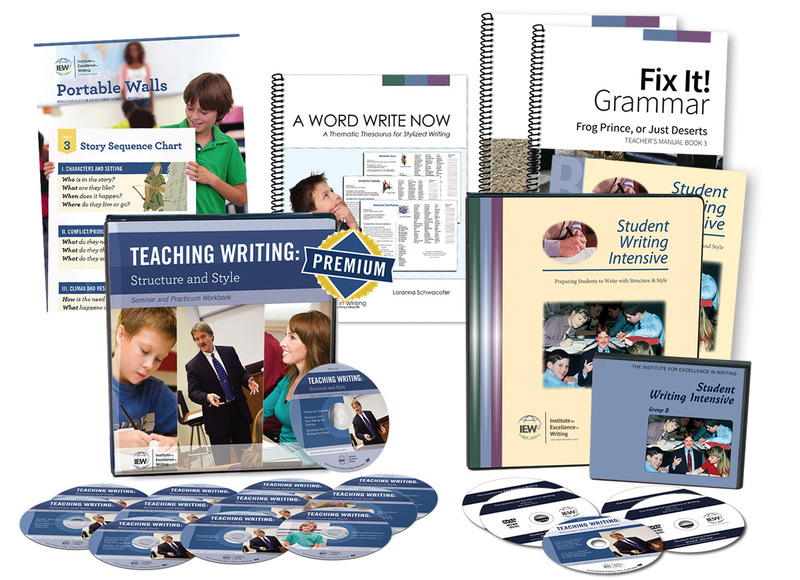 It is designed for students who enjoyed the Student Writing Intensive classes so much they just want more, for families or teachers who want to further improve their teaching of writing and would benefit from exposure to a more comprehensive set of demonstration lessons, or for students whose primary writing instruction does not include Structure & Style and who wish to supplement what they learn in school. Should you purchase this level? 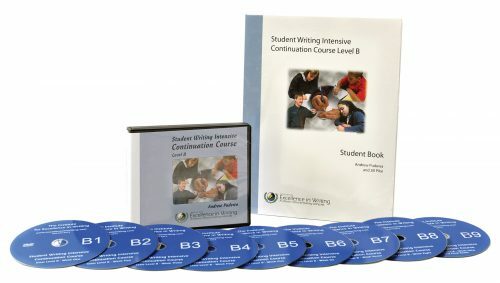 Middle school and early high school students who have completed the Student Writing Intensive Level B are ready for the Student Writing Intensive Continuation Course Level B. If your student is of upper elementary age, he may find the Student Writing Intensive Continuation Course Level B a challenge and should first do the Student Writing Intensive Continuation Course Level A. 9 DVDs Total time: 13 hrs., 5 mins.